What to do when your manual is missing. People often ask me what to do with a bread machine that doesn’t have its own manual. It can be very frustrating, especially when you have never used a bread machine before. Some folks find used bread makers at yard sales. Other folks may receive their mother-in-law’s old bread maker when she buys a new, sportier model. These previously owned bread machines seldom have their manual included. 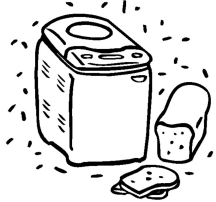 Other people, myself included, have set their bread machine aside for a year or two. Time and neglect create a gulf of separation between a bread maker and its manual that mere mortals are seldom able to bridge. The result of all these scenarios is that the manual is missing and the bread machine is inactive as a result. Never fear, with the help of the following information, you should have your machine up and running within the hour. Bread Machines have three main parts. The machine itself is Part # 1. Set the machine on the kitchen counter and take a look at it. No matter what brand you have you should notice two things right away. There is a hinged lid which can be lifted and shut. There may be a window in it, and probably a small vent too. Next to the lid you should see a control panel with a few buttons and maybe a light or two if you have a fancy version. Don’t worry about the control panel and all its bells and whistles yet. We’ll get to it in a little bit. There will be a peg inside the bread pan that the kneading blade fits over. Place the kneading blade on its little peg and then take it off again to familiarize yourself with it. It should go on and off with little trouble. Set the kneading paddle aside in a safe place so it won’t get lost while you do the next part. Finally, place the bread bucket into the machine, and place the kneading paddle on its little peg. Fold the handle down, and close the lid. You are now ready to move to the control panel. Unplug your machine. Plug it back in. The machine will be on its Basic (or default) setting now. Place the bread pan and the kneading blade in position. Close the lid. Press Start. Watch what happens. It should make mechanical sounds and the kneading blade should begin to swish around at a steady pace. It goes slowly at first and then goes faster after about 10 minutes. Watch it as long as you like. There isn’t any dough in it yet so you can see everything that the machine is up to. You can lift the lid and watch if you like. Place it back down when you are done. Lifting the lid while the machine is running doesn’t hurt it. When you are ready, press the Stop/Start button to stop it. You might need to press it twice. Everything should come to a stop and the machine should reset itself to the Basic setting again. When you have mastered the Stop/Start button, it is time to look at the Select button. Close to the select button you will see several choices. The most common ones are White or Basic; Whole Wheat; French; Sweet; Rapid, & Dough. To set the machine to a particular cycle you have to keep pressing the Select button until it gets to the cycle you want. Sometimes each cycle is identified by a number. For instance, White or Basic is usually 1. Whole Wheat is 2. French is 3; and so on; you get the idea. Each cycle takes a different amount of time to mix and cook the bread. On my machine the White Bread or Basic Cycle takes 3 hours. Whole Wheat bread takes 3 hours and 40 minutes. French bread takes 3 hours and 50 minutes. Sweet bread takes 2 hours and 50 minutes. Rapid Mix takes 1 hour and 20 minutes. Not all machines take the same amount of time for each setting. My dad’s machine takes 3 hours and 40 minutes for its Basic Cycle. Its Rapid Cycle is 3 hours. This is because each machine has its own way of doing things, the same way that each cook has her own way of doing things. There should be 2 buttons on your machine with arrows on them. One arrow will point up, to increase the time on the display screen. One arrow will point down to decrease the time on the display screen. These are the buttons you will use to adjust the time on the delay cycle. You can press them right now if you like, to see what they do. When you are done pressing them unplug the machine and plug it back in to reset everything to its default mode. Example #1: Let’s say its 6 a.m. on Saturday morning, and you have a bunch of yard-sailing to do today. The crock pot is cooking a nice roast with some carrots and potatoes or some yummy lentil chili. Wouldn’t a fresh loaf of hot bread be just the right thing to serve alongside your meal? How can you get the bread machine to delay its cooking action so that the bread will be fresh cooked at 2 p.m. when you plan to eat dinner? Next, use the arrow buttons to increase the 3 on your display screen to an 8. Each time you press the Up-Arrow button, it will increase the time by 10 minutes. Pressing the Down-Arrow button will decrease the time by 10 minutes. Give it a try. Press the Up-Arrow once. The display screen will look like this [ 3:10 ]. The bread cycle is now delayed by 10 minutes. After a ten minute delay, the machine will start its regular business of kneading, rising and baking. Press the down-arrow button next. The screen will change and go back to this [ 3:00 ]. Pretty easy huh? The Up-Arrow increases the time, the Down-Arrow decreases the time. Press the Up-Arrow now, and hold it. The time should increase really fast. Keep holding it down until the display screen says [ 8:00 ]. If you go over, then use the Down-Arrow to adjust it. 5. Close everything up and press Start. Walk away now, and let it do its magic. Example #2: Its 1 o’clock in the afternoon, and you want a nice loaf of whole wheat bread for supper at 5:30. Your whole wheat cycle lasts 3 hours and 40 minutes. Put the ingredients into the bread bucket and snap the bucket into the machine. Select the Whole Wheat Cycle. The display screen will look similar to this [ 3:40 ]. Yours may be longer or shorter, depending on how long your Whole Wheat Cycle lasts. If its noon now, then the bread will be done at about a quarter to 5. (1 p.m. plus 3 hours and 40 minutes is 4:40, or about a quarter to 5). You want it to be fresh, hot, and finished cooking at 5:30, which is 4-1/2 hours away. Use the arrow buttons to increase the time from [ 3:40 ] to 4 hours and 30 minutes. The display screen will look like this [ 4:30 ]. Now press the Start/Stop button, and let the machine do its job. In 4 hours and 30 minutes, it will be 5:30, and the bread will be finished baking. 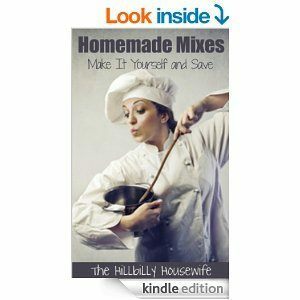 Sugar, honey and other sweeteners soften the texture of the dough and the finished loaf. They also contribute to the browning of the bread and the crispness of the crust. The main role they play though is as easy-to-use-food for the yeast. Yeast can use the starch in flour for its food but it is much happier if it gets an easy to use food like sugar or honey. Most bread machine recipes call for at least a small amount of sugar. A very few may not, like machine made French bread, or occasionally pizza crust. If desired you may add between a teaspoon and a tablespoon of sugar to recipes that don’t call for any sweeteners of their own but you don’t really have to. There is a big mystique about the order in which ingredients should be added to a bread machine. The truth is, if you are going to mix and bake the dough right away then it really doesn’t matter which order you add the ingredients. The machine will mix them all up regardless of the order they were added to the bread bucket. If you want to program the machine with the Delay Cycle to start while you are away, then the order becomes very important. The ingredients must be added in a way that will keep them inert until the machine begins its mixing. Therefore it is a good idea to get in the habit of adding the ingredients in this way from the beginning.